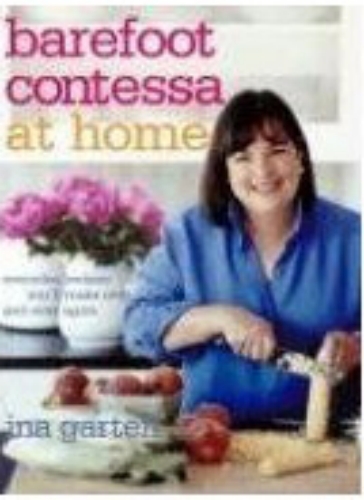 Barefoot Contessa at Home: "Something smells really good!" my husband, Jeffrey, exclaims every Friday night when he walks in the door. Most weeks, Jeffrey has been around the world and back and when he walks in that door, I want him to feel that he's really home. What he doesn't realize is that what feels very casual is, in fact, quite deliberate: the music is playing, all the lights are on, there are flowers everywhere, and chicken and onions are roasting in the oven. I didn't always know how to make a home. It took time and lots of experimentation. For me, the very best way of all to make a house into a home is to have the smells of good food coming from the kitchen. I hope in this book you'll find lots of recipes you'll want to make over and over again so that everyone who comes to visit will feel as much as home as you do.